This chamber was discovered in 1782. 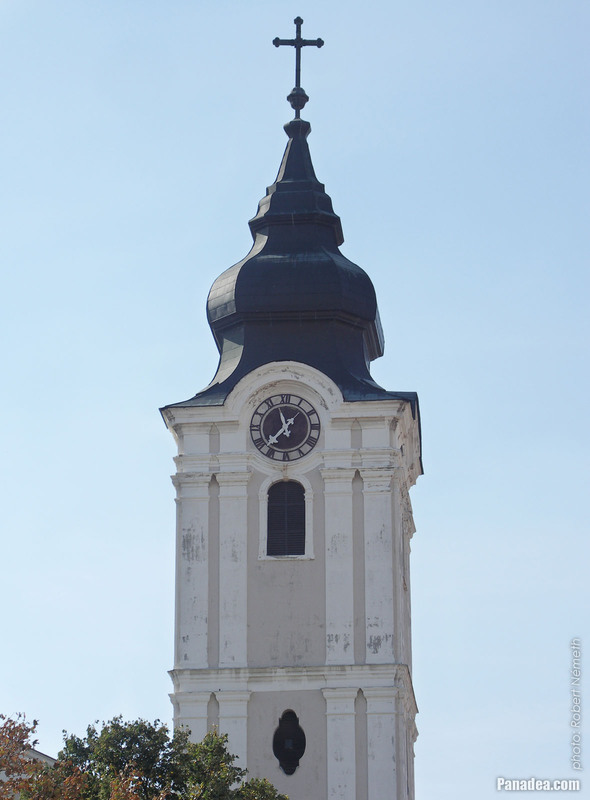 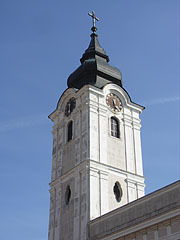 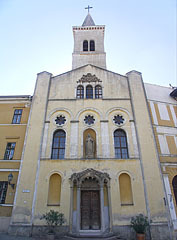 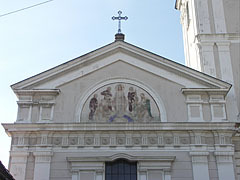 Formerly the baroque style Roman Catholic Church of Our Lady ("Nagyboldogasszony-templom") stood on this place, that was built in 1727. 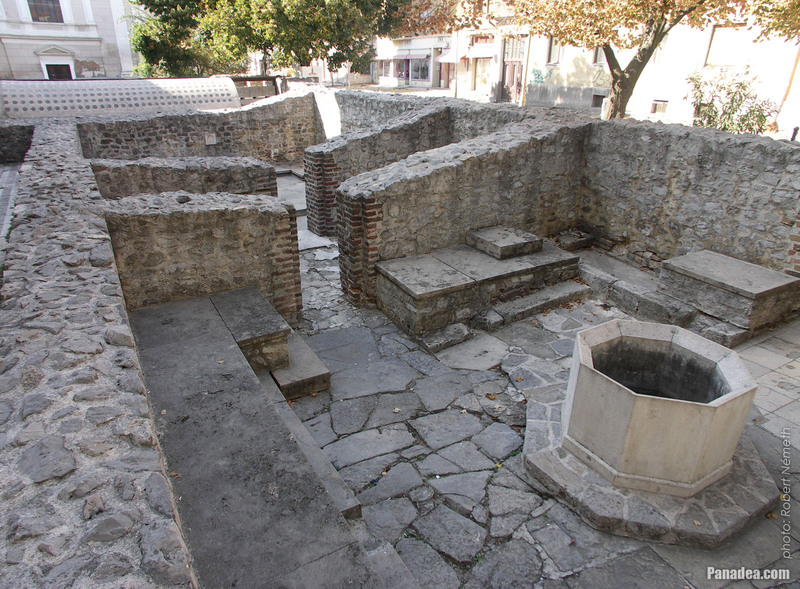 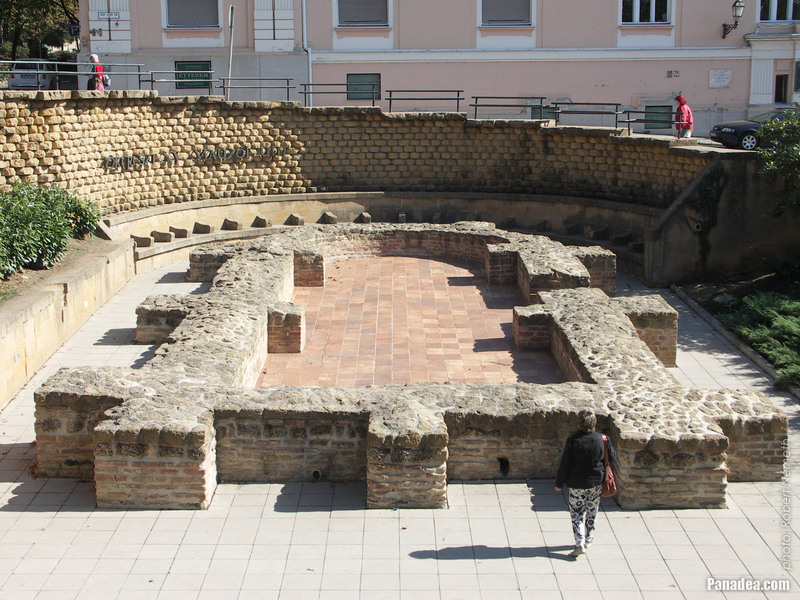 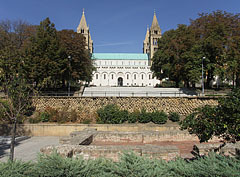 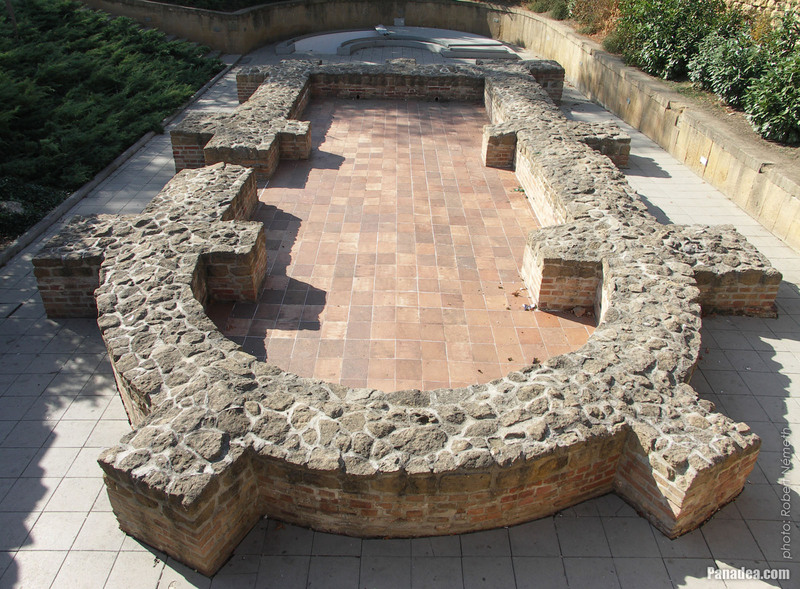 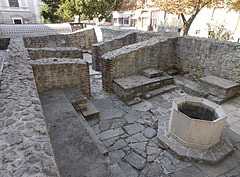 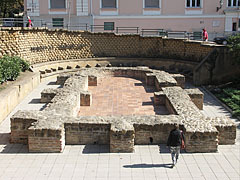 There are 4th-century Roman tombs in its courtyard. The current church was built between 1852 and 1854. 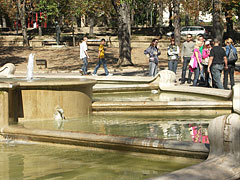 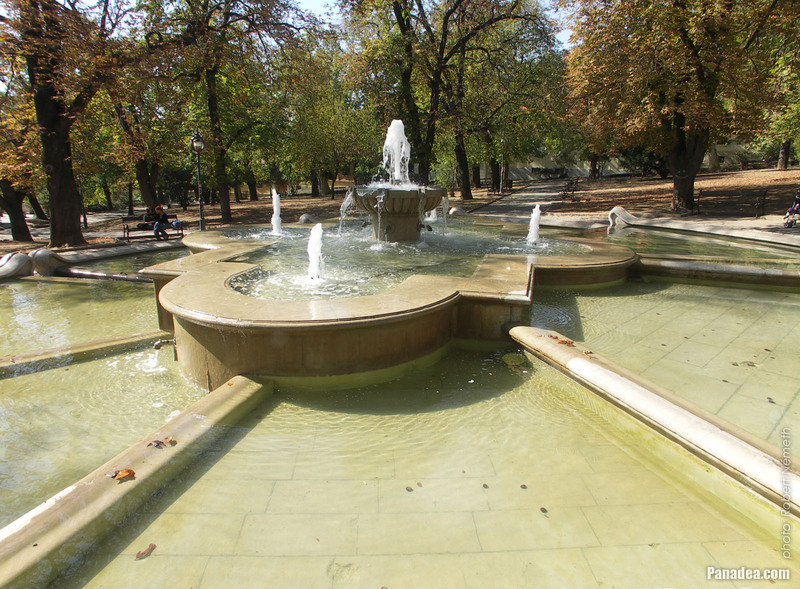 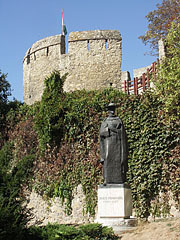 The statue was created by Jenő Kerényi in 1962. 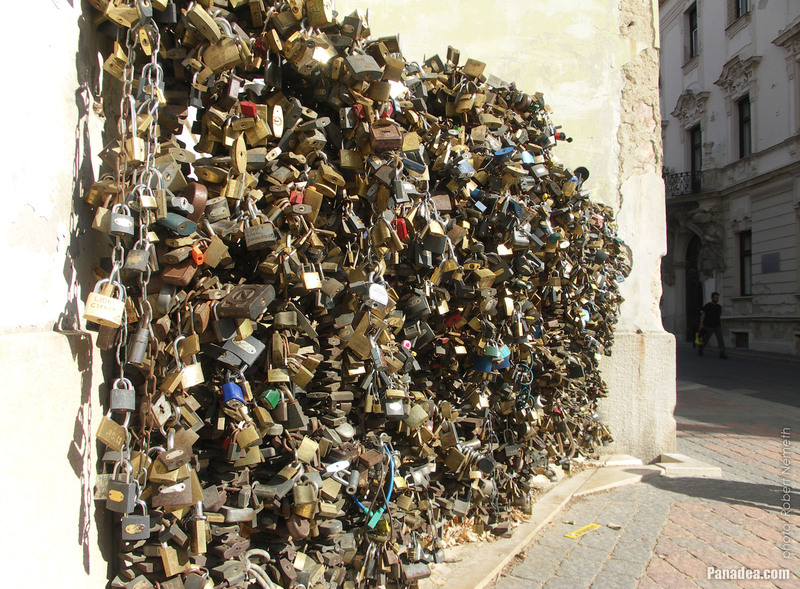 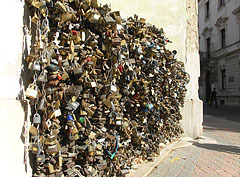 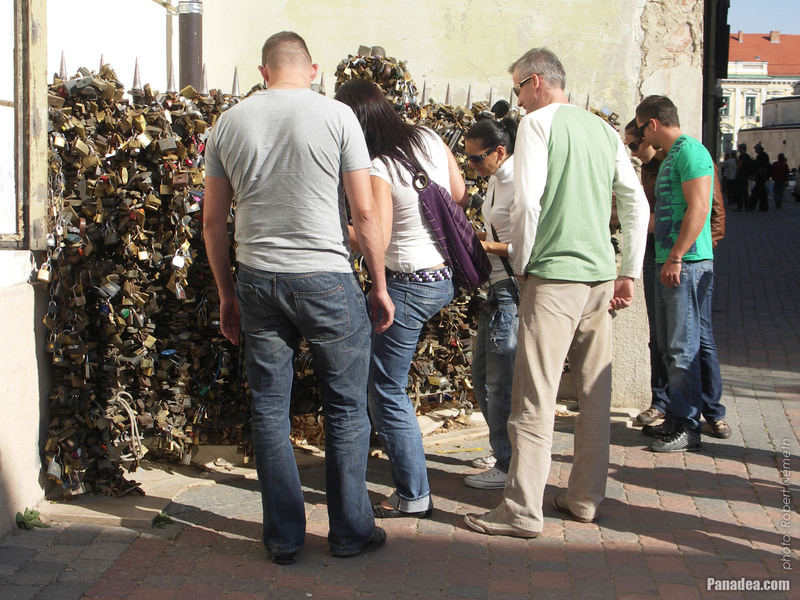 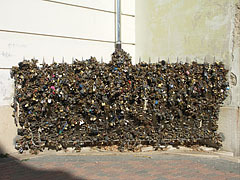 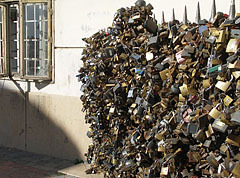 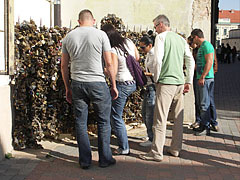 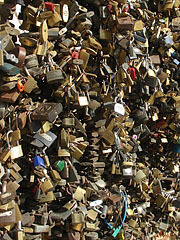 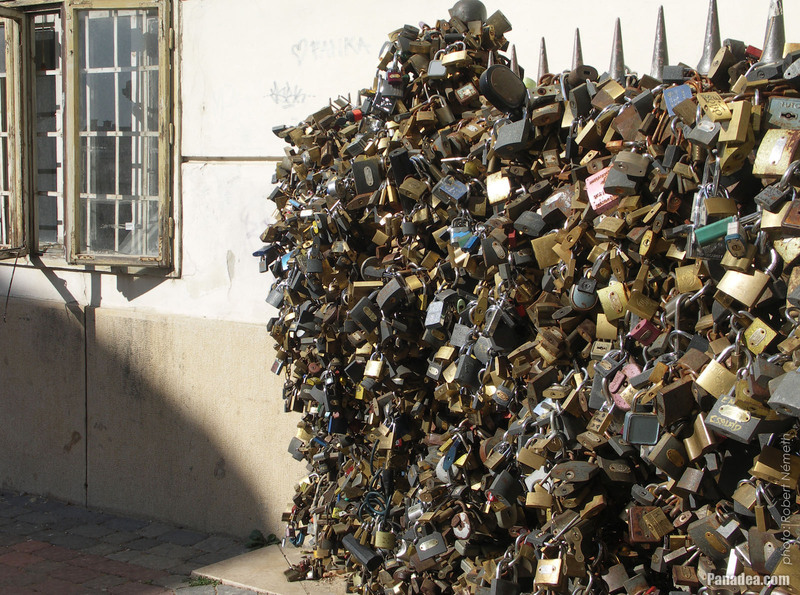 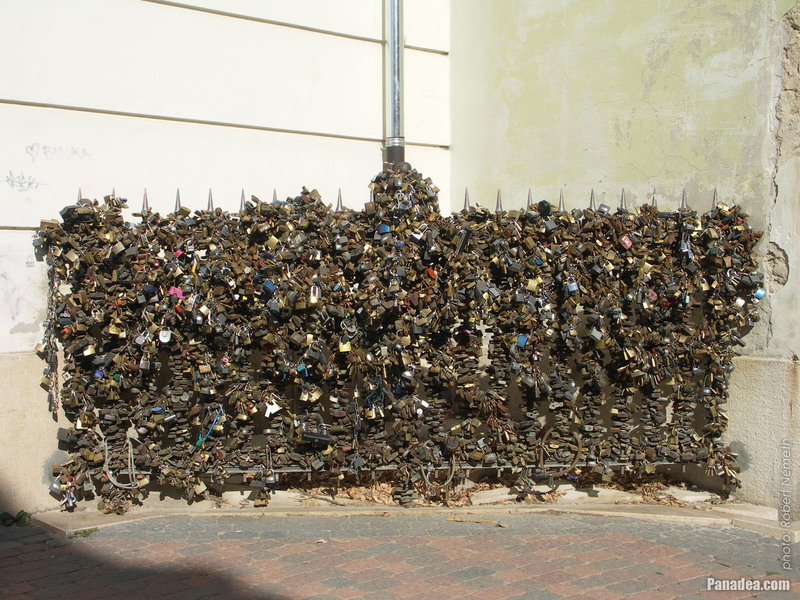 Love padlocks on the so-called "Lovers' Wall, the second"
The statue was created by Borsos Miklós in 1972. 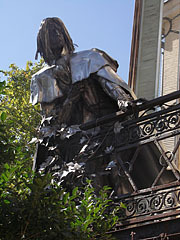 The stainless chromium steel statue was created by Imre Varga in 1983. 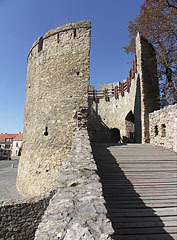 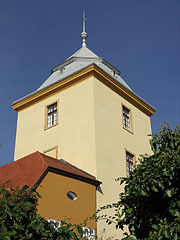 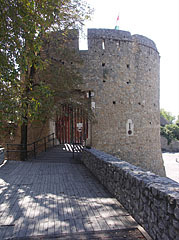 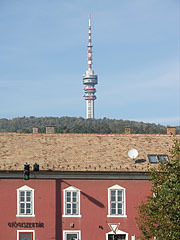 The tower was inaugurated in 1973. 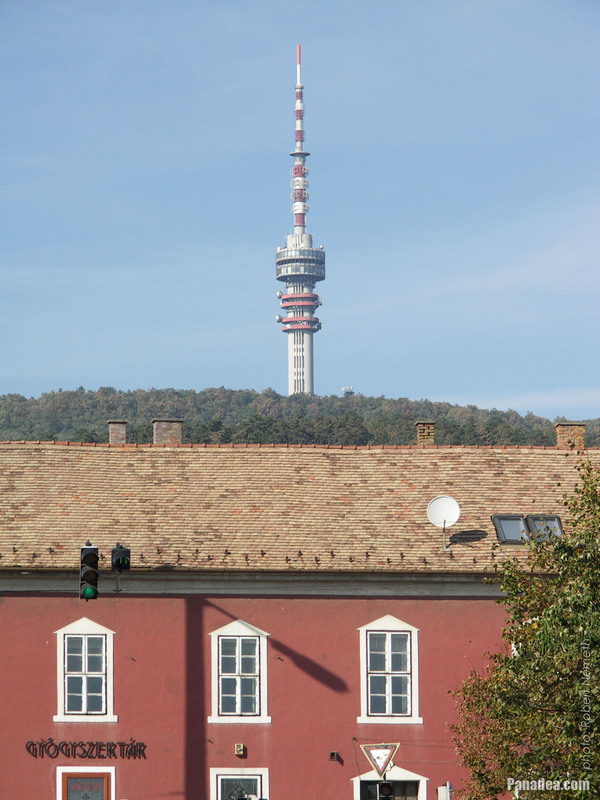 The tower is 197 meters tall, as well as the mountain where it stands is 535 meters above the ocean level. 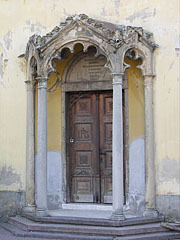 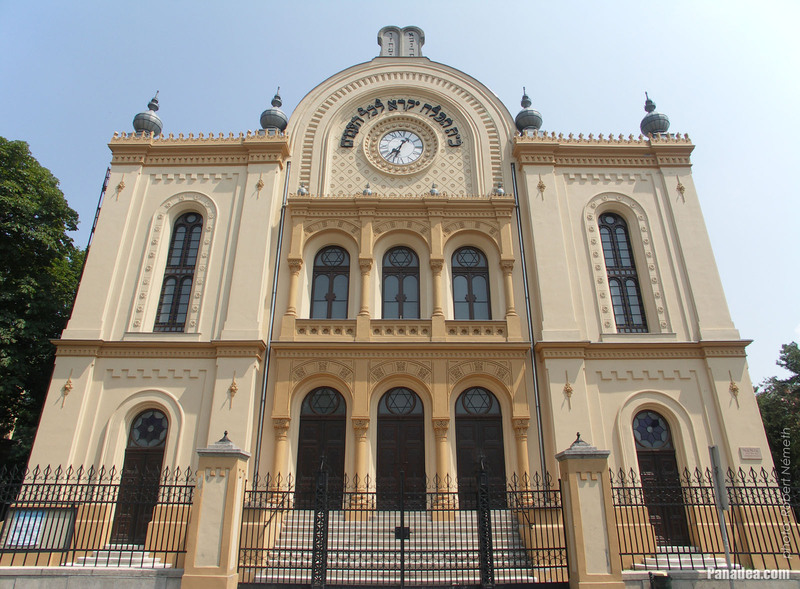 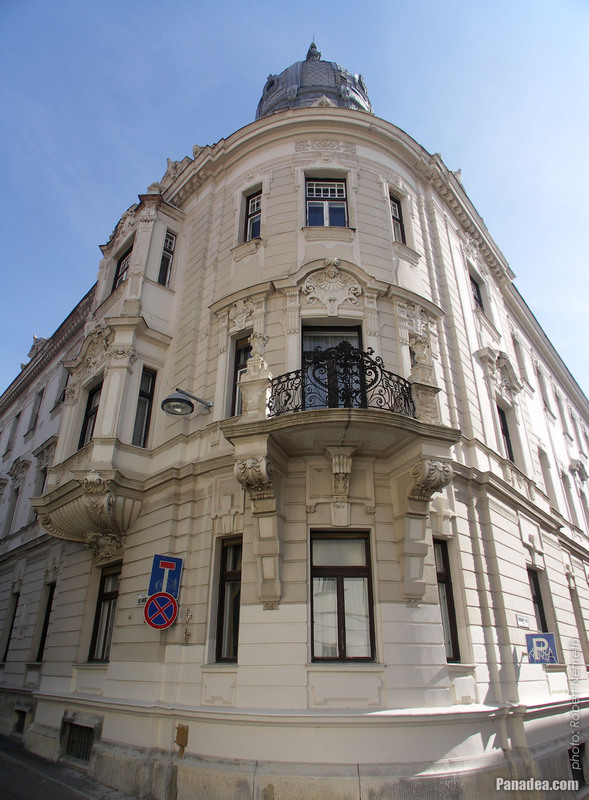 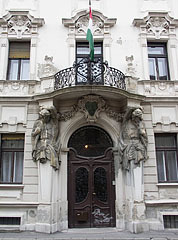 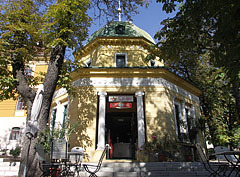 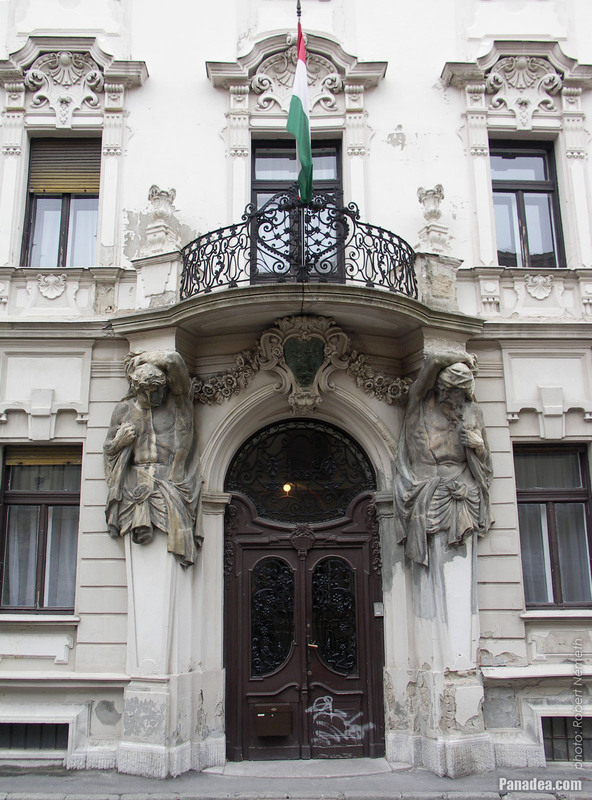 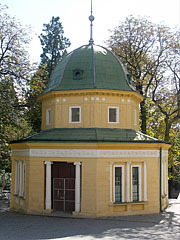 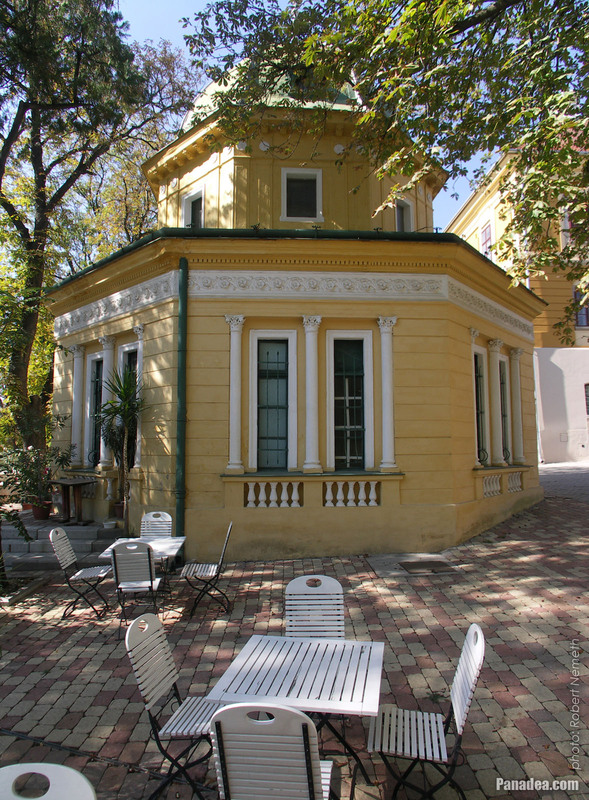 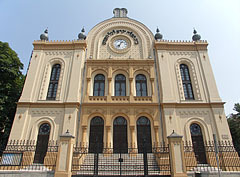 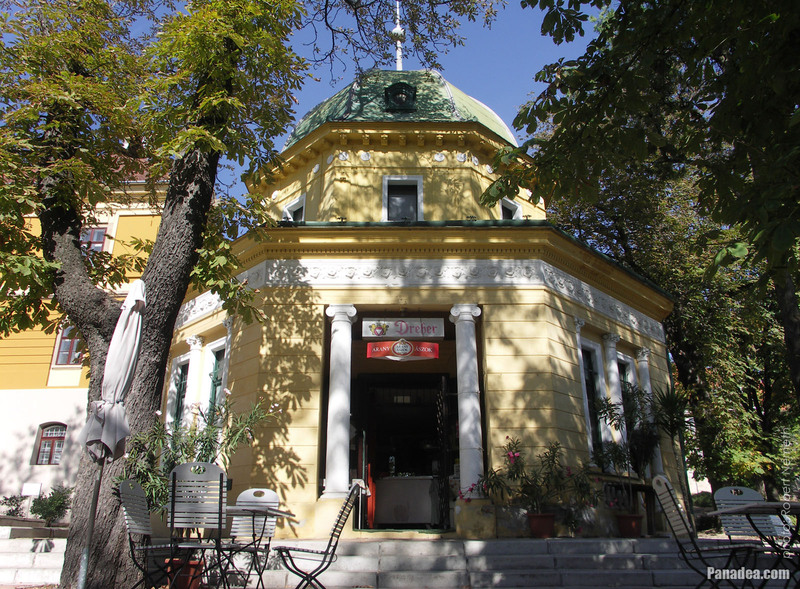 It was built in 1869, architects: Frigyes Feszl, Károly Gerster and Lipót Kauser. 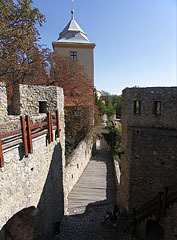 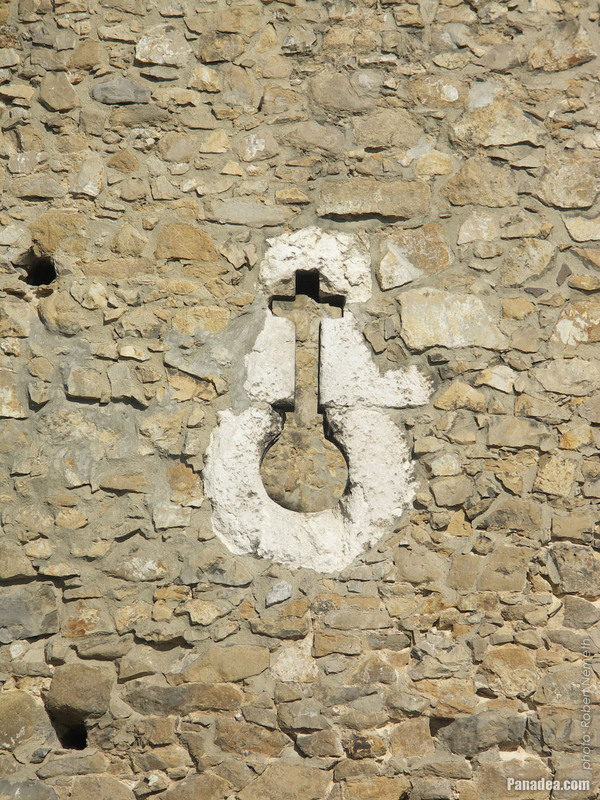 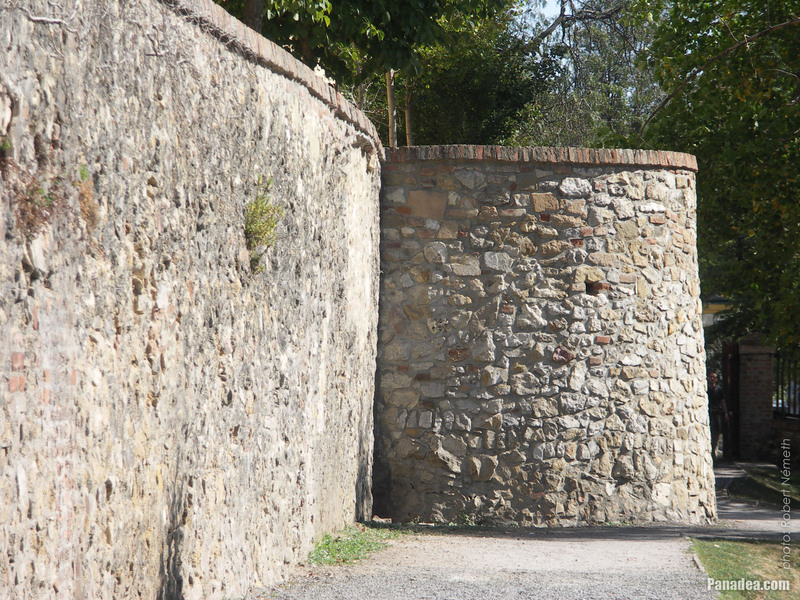 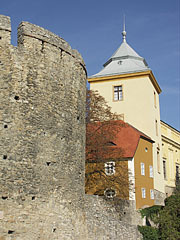 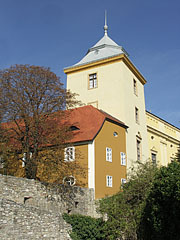 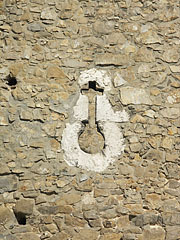 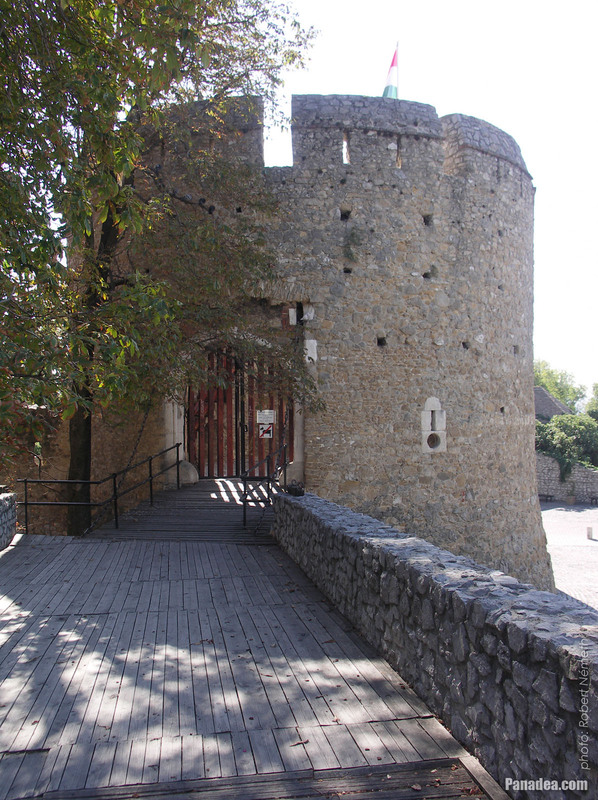 It was built between 1718 and 1760. The Littke Champagne Factory was founded by the Polish-born Lőrinc Littke in 1859, it was the first champagne production facility within the territory of the present-day Hungary. 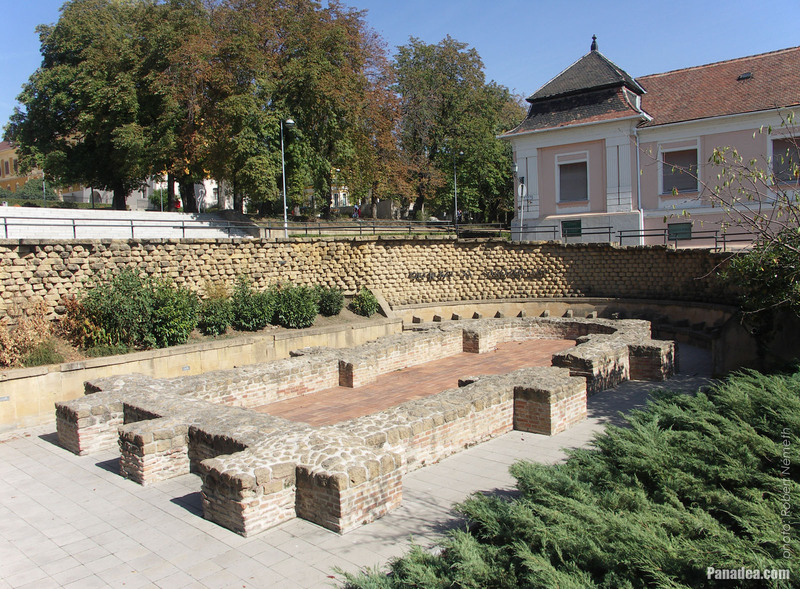 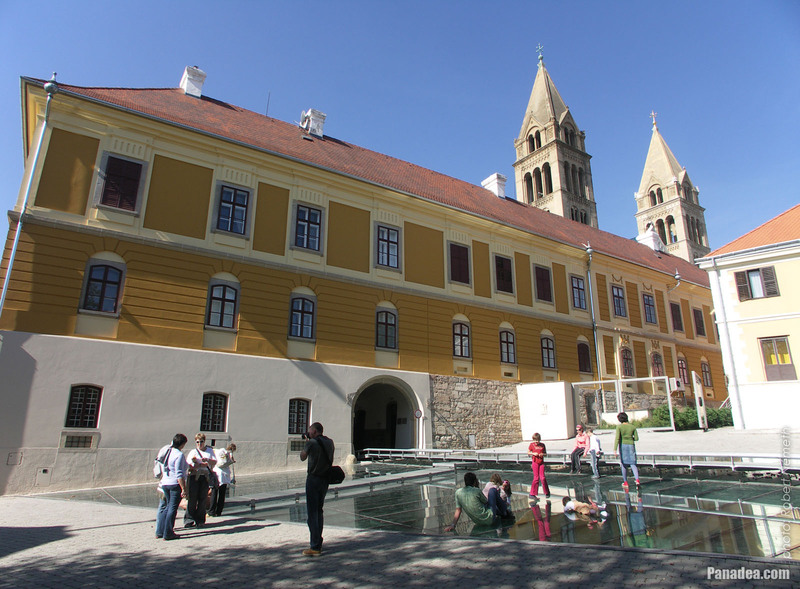 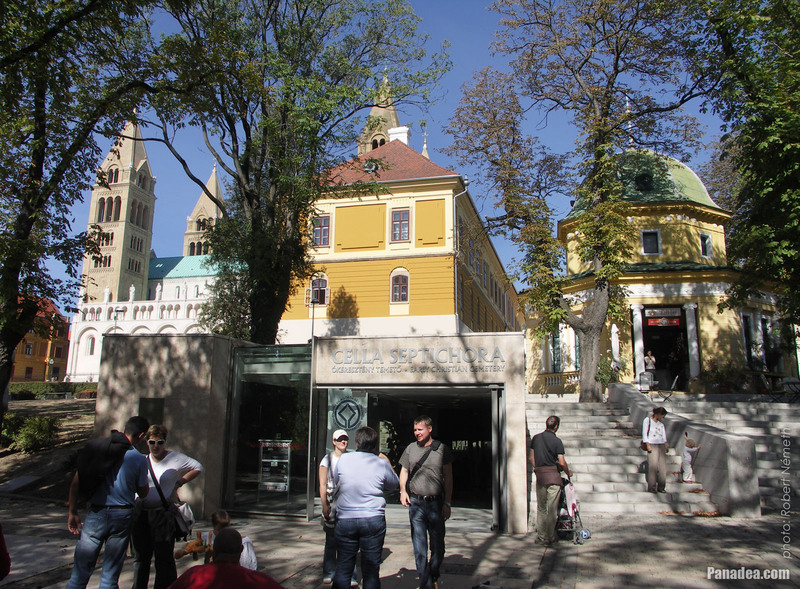 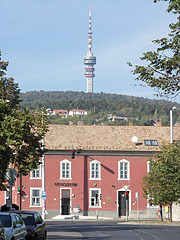 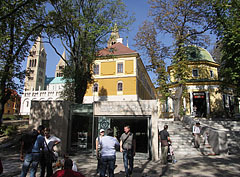 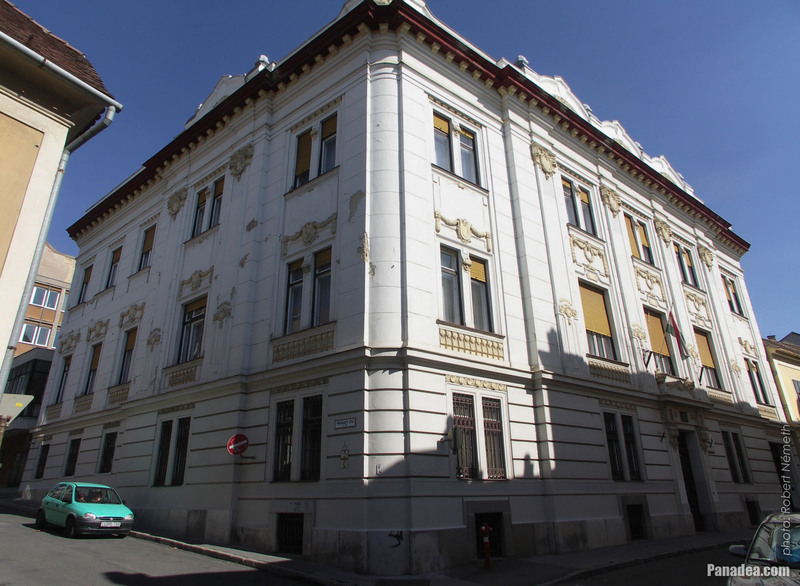 The first champagne factory in the area of the historical Hungary (Kingdom of Hungary, until 1920) was opened in Pozsony (today Bratislava, Slovakia) in 1825, founded by János Fischer wine and colonial produce merchant and dr. Mihály Schönbauer physician, then in 1877 it was acquired by the Austrian-born Johann E. Hubert. The Hungarian word for champagne is "pezsgő", it means bubbly or sparkling and probably created by Count István Széchenyi, who mentioned it first in his writing called "Hitel" ("Credit") in 1830. 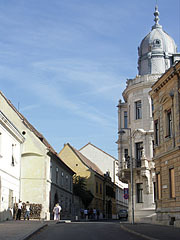 Formerly the French "champagnier" or "champagne" words were used for the sparkling wine in Hungary. 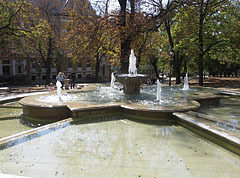 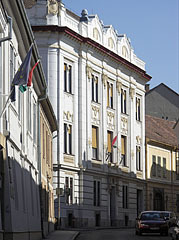 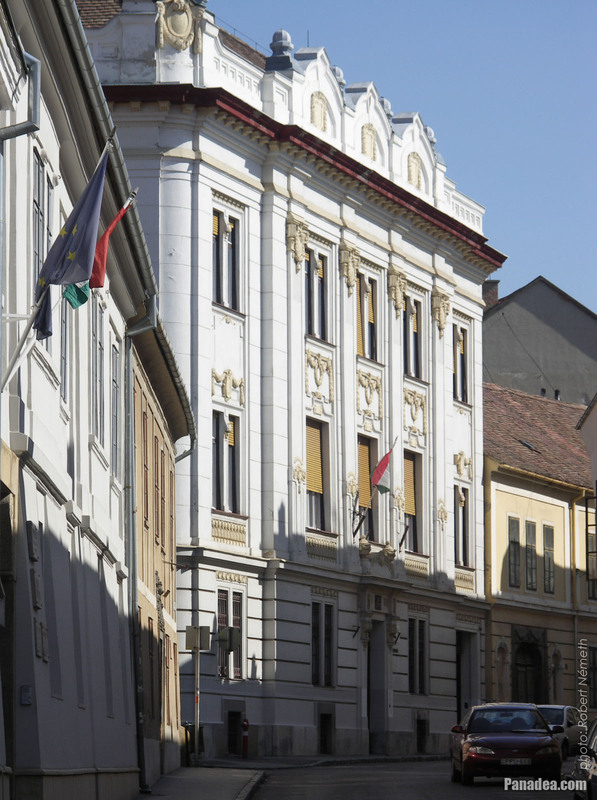 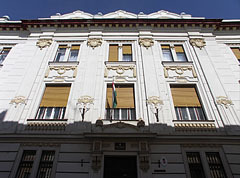 The headquarters of Lőrinc Littke's factory was in Pécs, in the so-called "Pezsgőház" (literally "Champagne House") building on the Szent István Square. 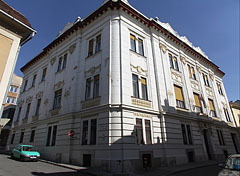 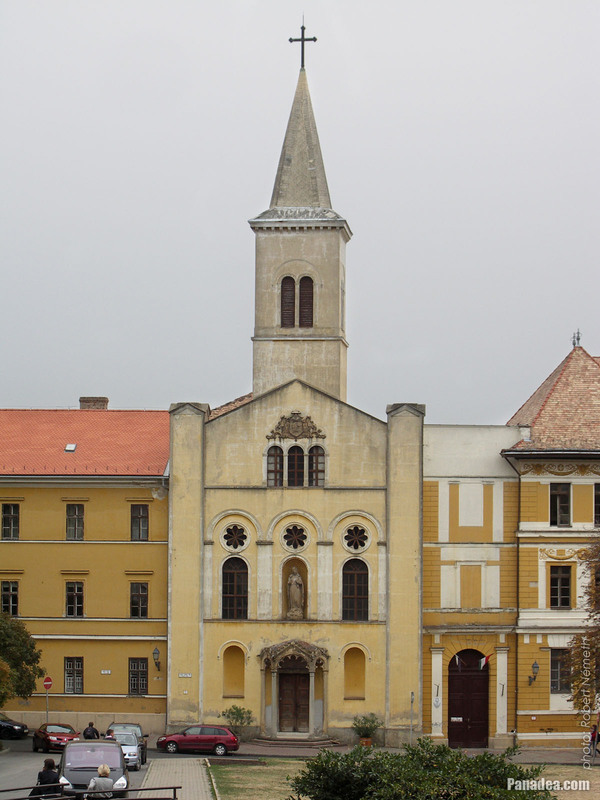 The Littke Champagne Factory was operating until the end of World War II, then in 1949 the state monopolized it and the production of champagne in Pécs was virtually ceased for some time. 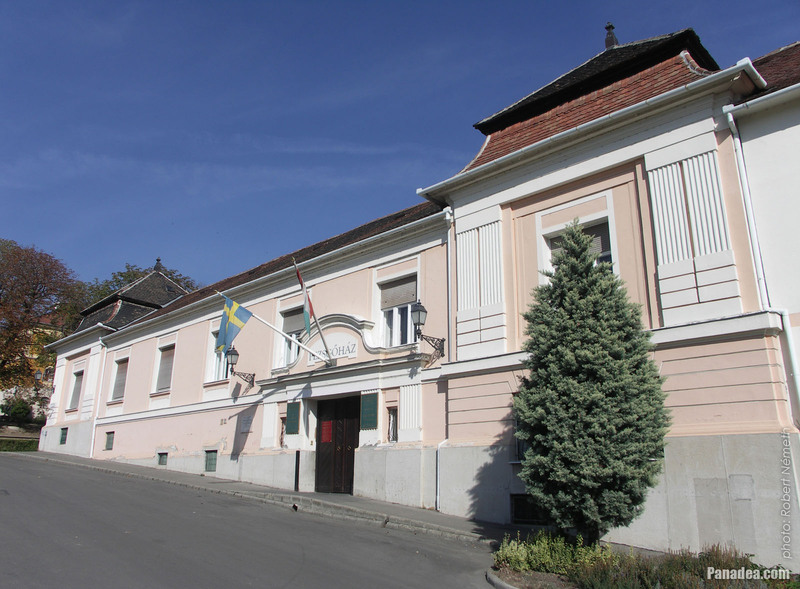 The champagne production was restarted in the Littke Winery only in 1966, under Pannonvin Champagne Factory name an as a part of the "Állami Pincegazdaság" (approx. "State Winery"). 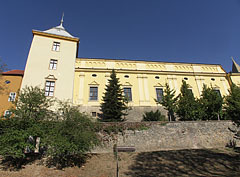 After more change in the name and the owner the former Littke Winery is now operated by a company which engages in both viticulture and winery. 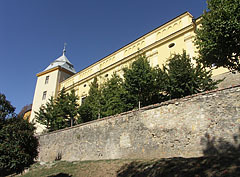 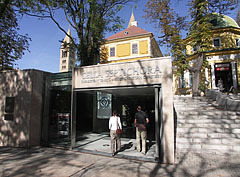 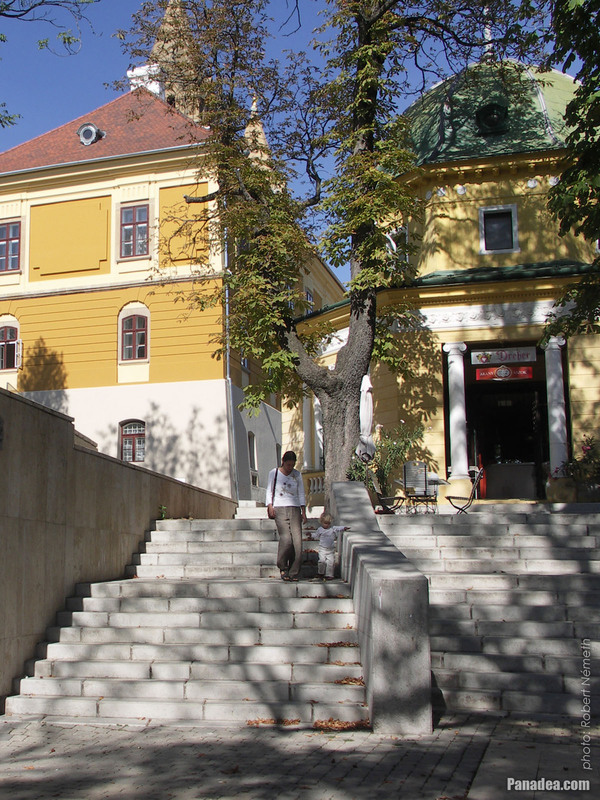 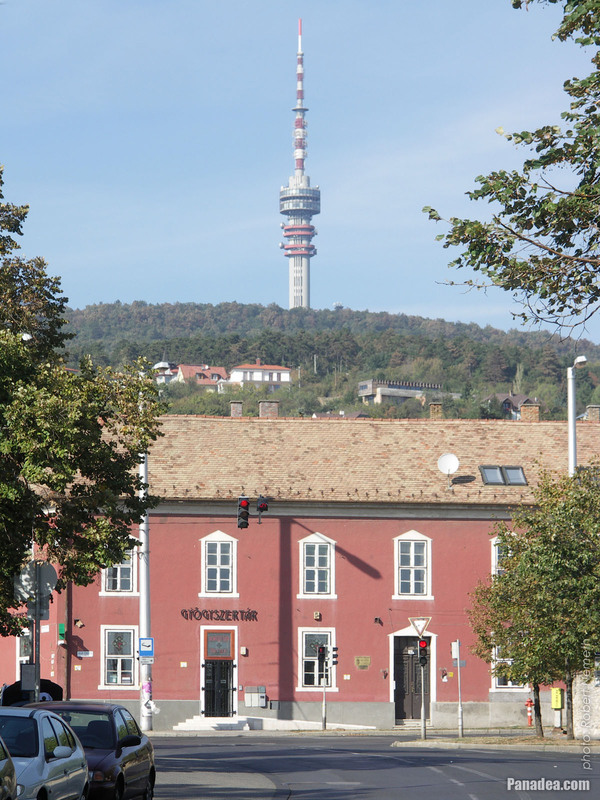 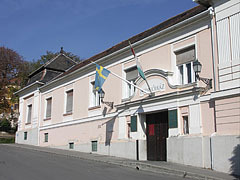 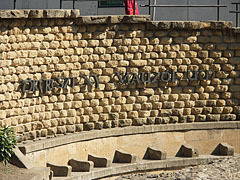 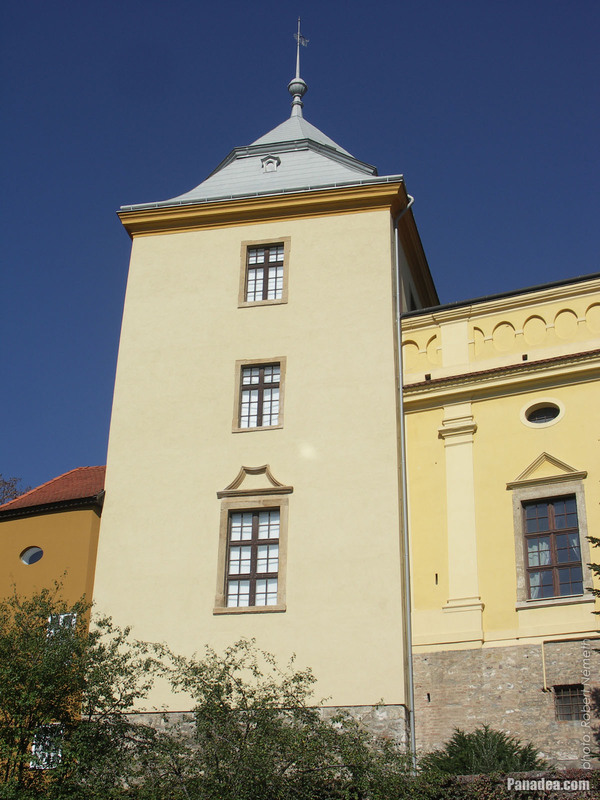 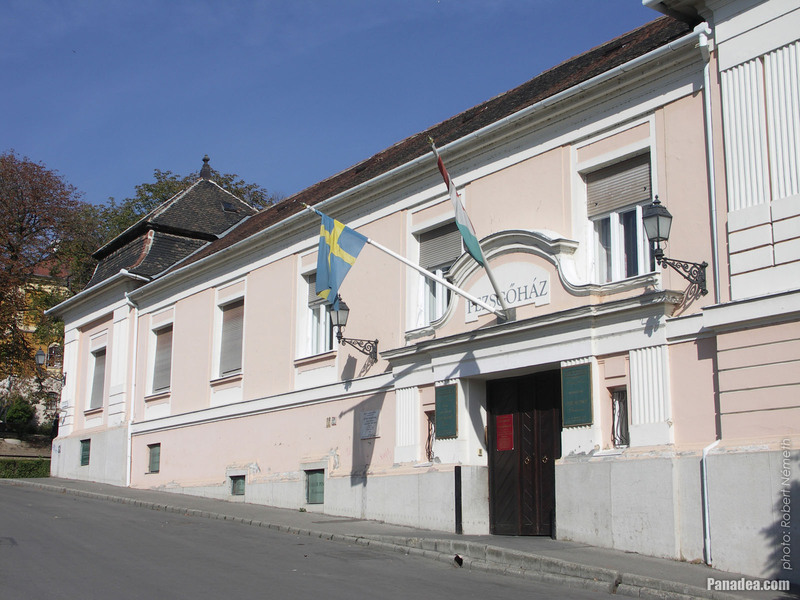 For 90 years the "Pezsgőház" ("Champagne House") in Pécs was the home of one of the first champagne production facility in Hungary, the Littke Champagne Factory. 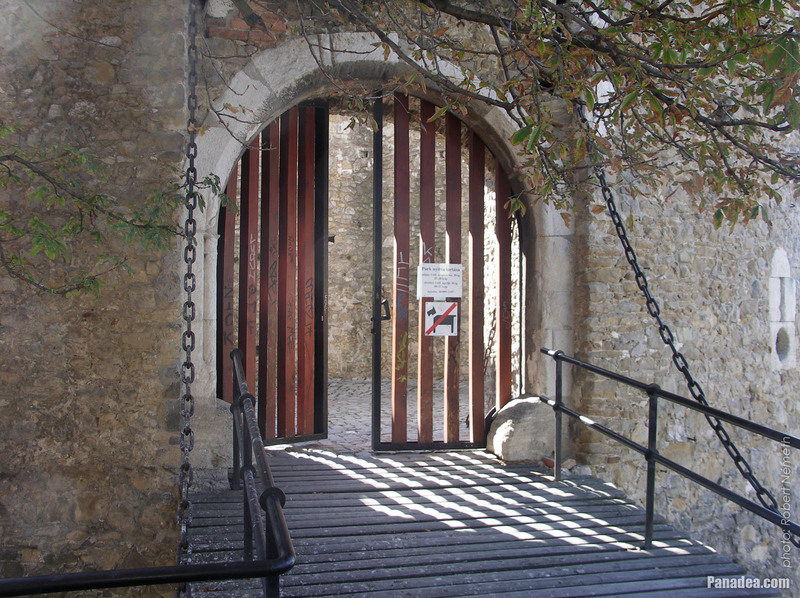 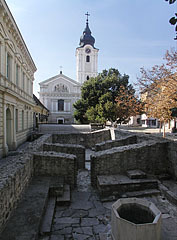 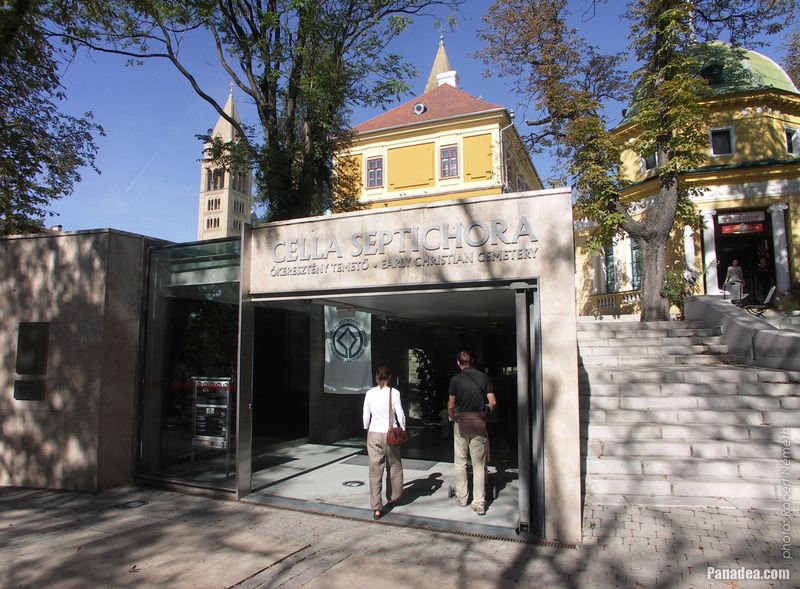 Below it there is one of the longest cellar systems of Pécs. 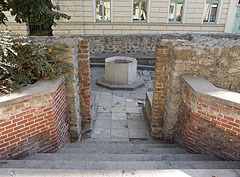 It is 2 km long and has five levels beneath the building, the lowest is 12 meters under the street level. 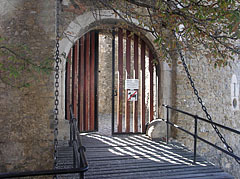 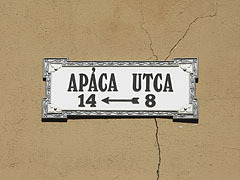 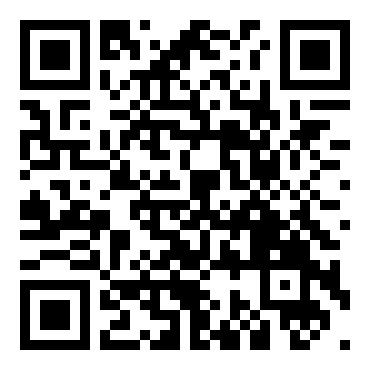 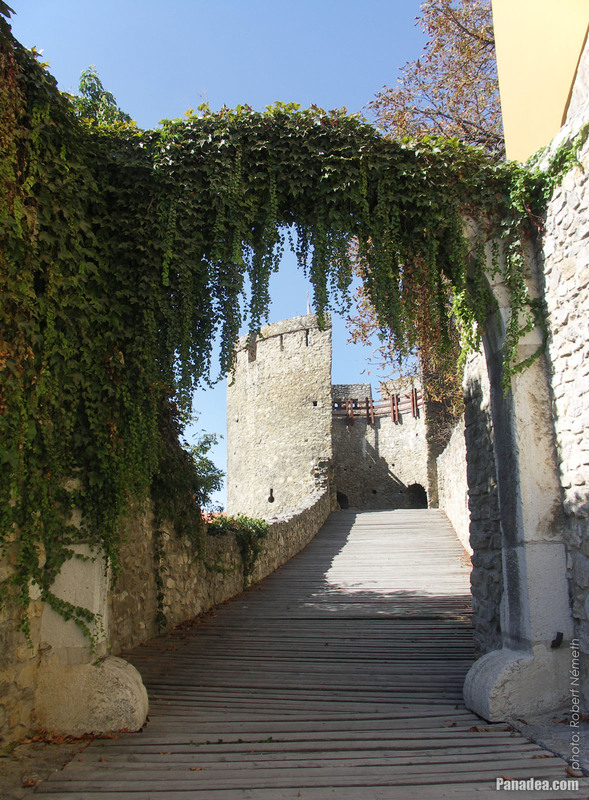 The cellars have an average temperature of between 12 and 14 °C and they can be visited. 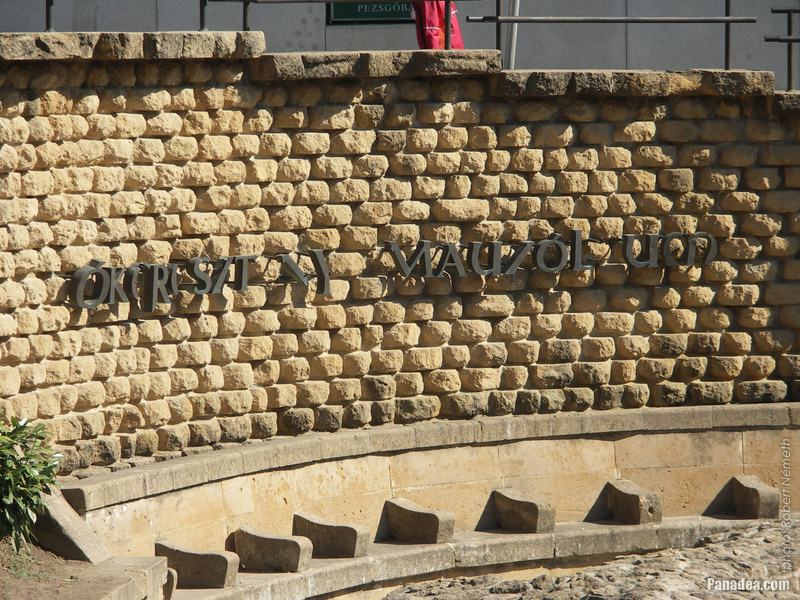 There is a champagne museum here, as well as a 200-hectoliter-capacity giant oak barrel and of course many other curiosities. 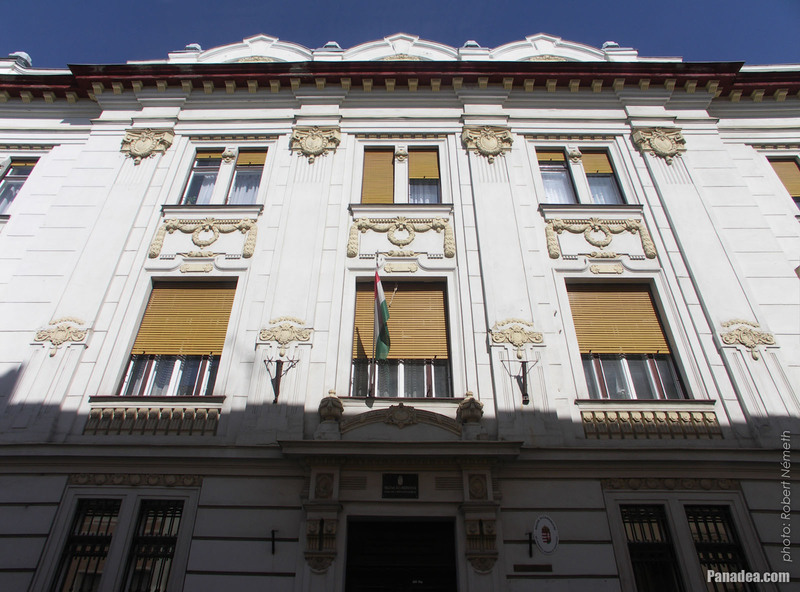 The building on the Szent István Square is today already more than 150 years old, among others there is a restaurant (Pezsgőház Restaurant) within its walls, since 1999. 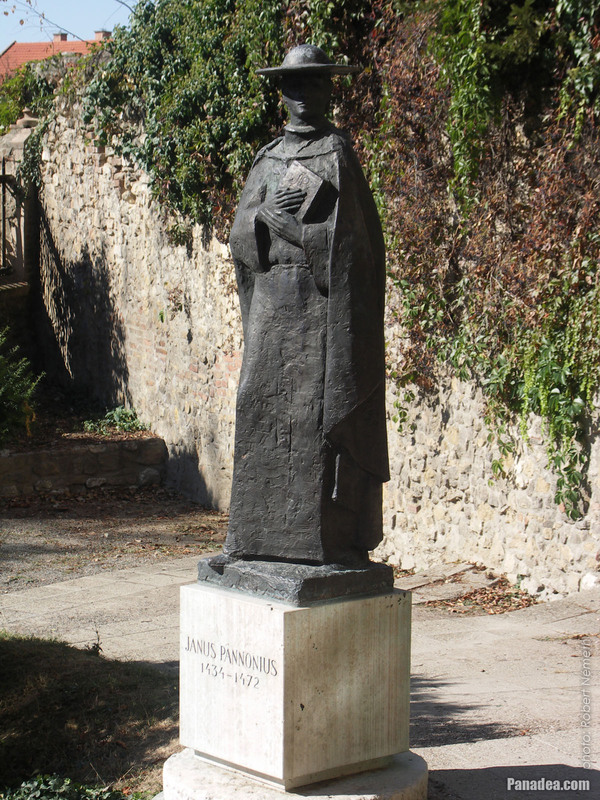 Janus Pannonius (born as János Csezmiczei, 1434-1472) was the bishop of Pécs and the first Hungarian humanist poet who was known also by his name throughout Europe. 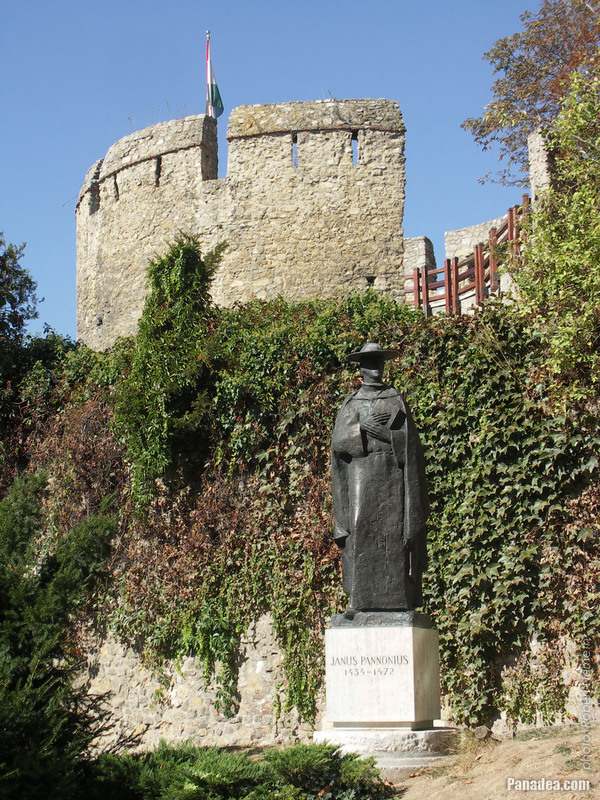 He was born in a Croato-Hungarian probably as Croatian under the name of Ivan Česmički, in Chezmicze (present-day Čazma), Croatia. 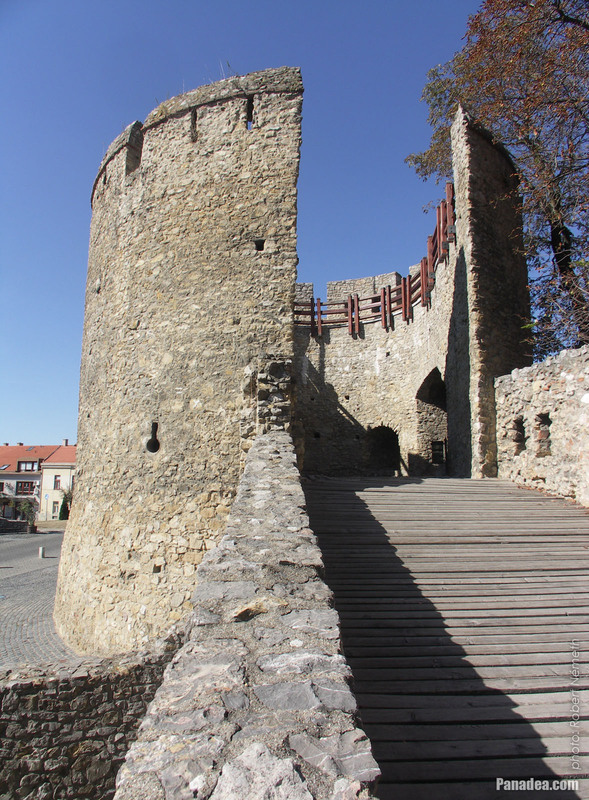 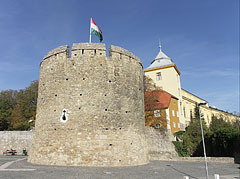 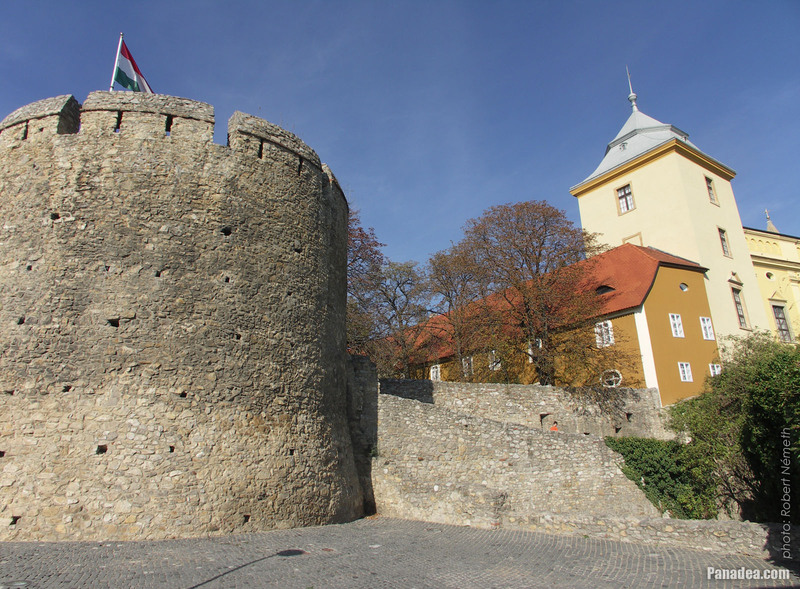 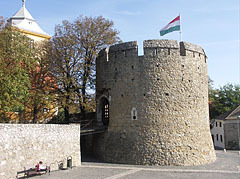 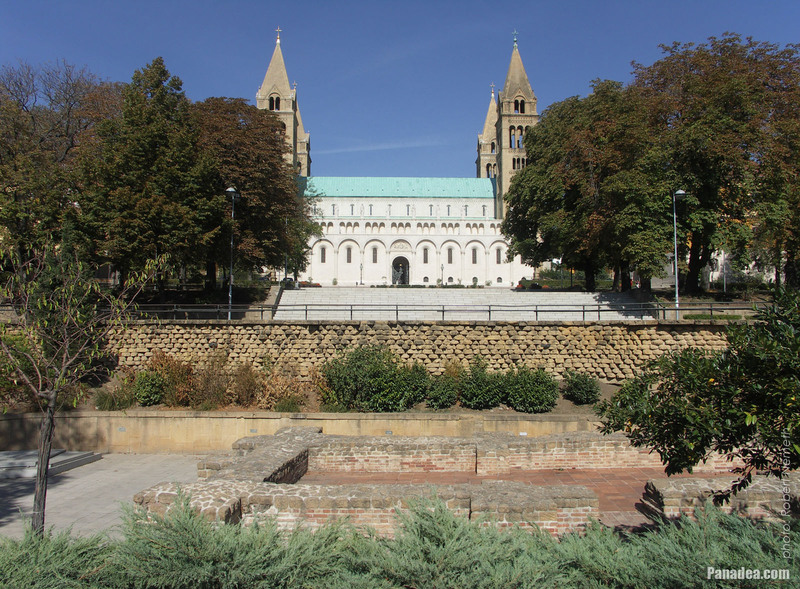 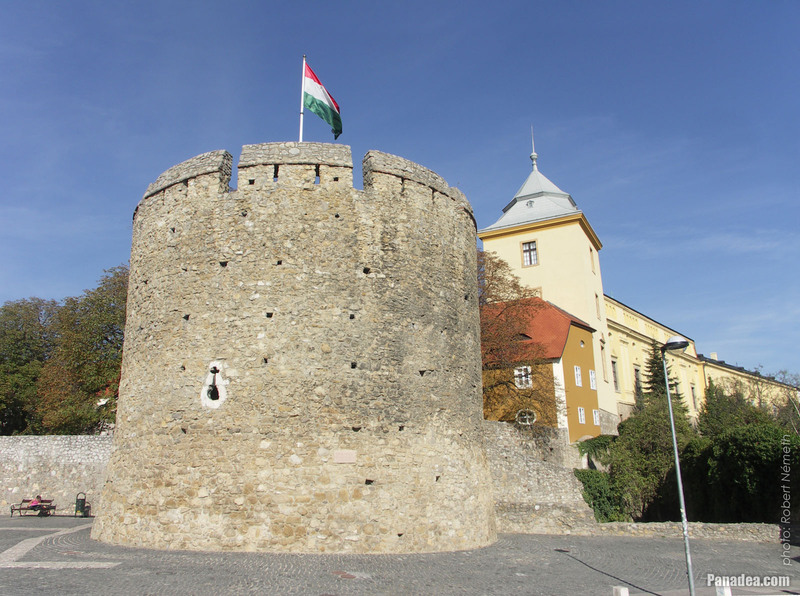 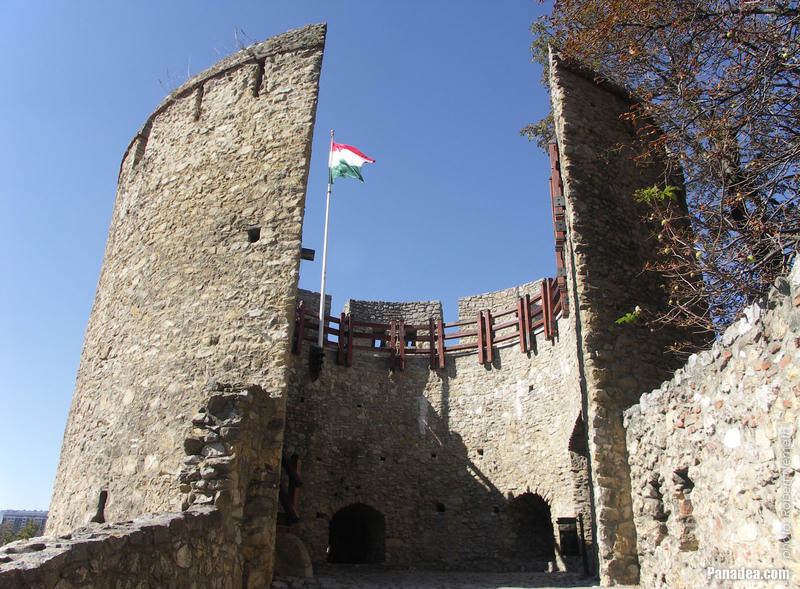 He lived in the age of King Matthias Corvinus, in the 15th-century renaissance Hungary. 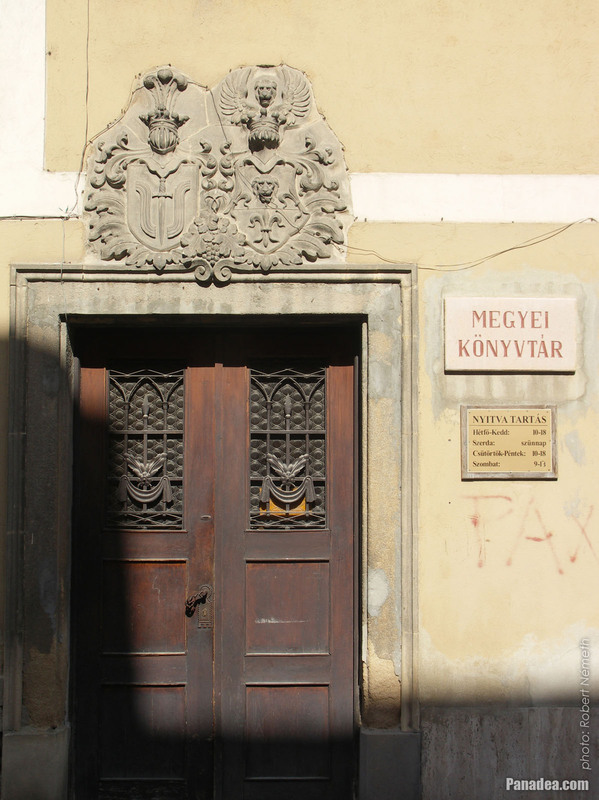 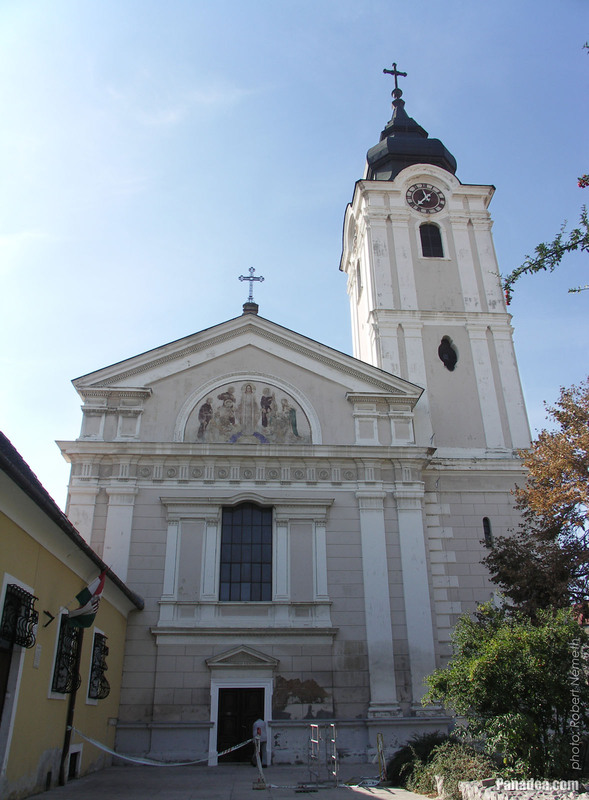 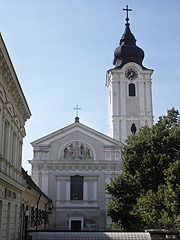 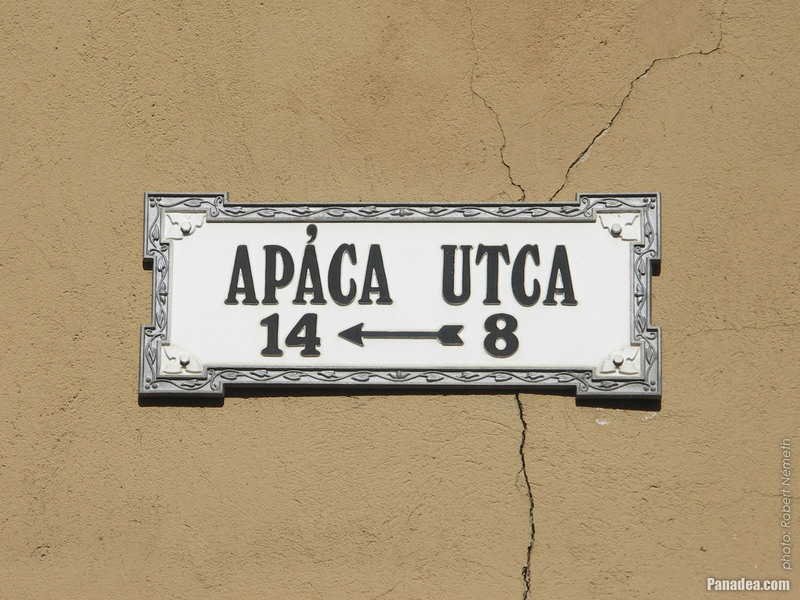 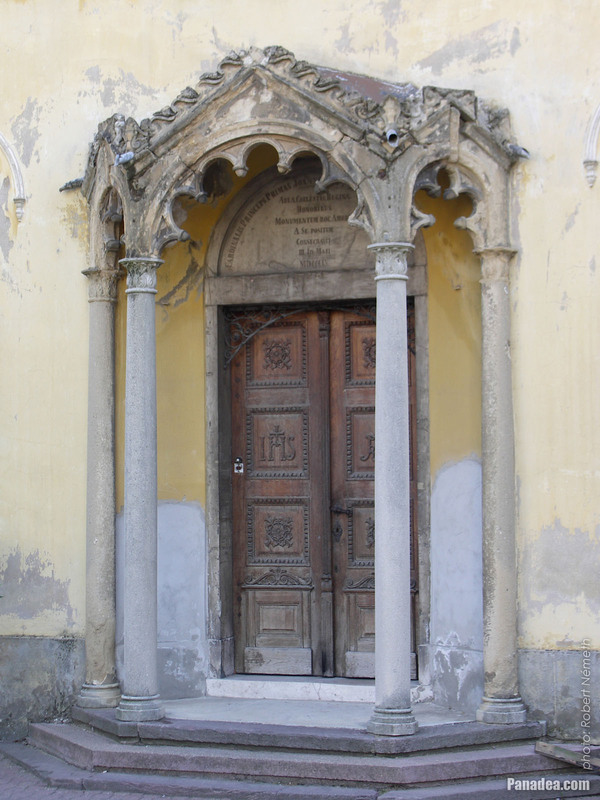 He studied in Nagyvárad (in Romanian Oradea, today in Romania) and his uncle Archbishop János Vitéz was his mentor. 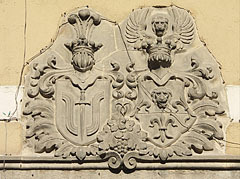 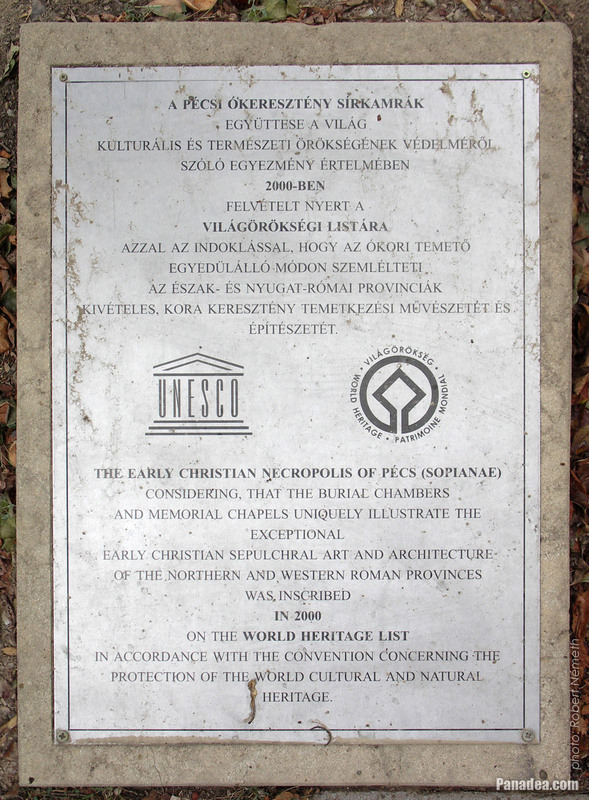 By the way, János Vitéz was the initiator of the Hungarian humanism, and also one of the educators of Matthias Hunyadi, the later King Matthias I of Hungary. 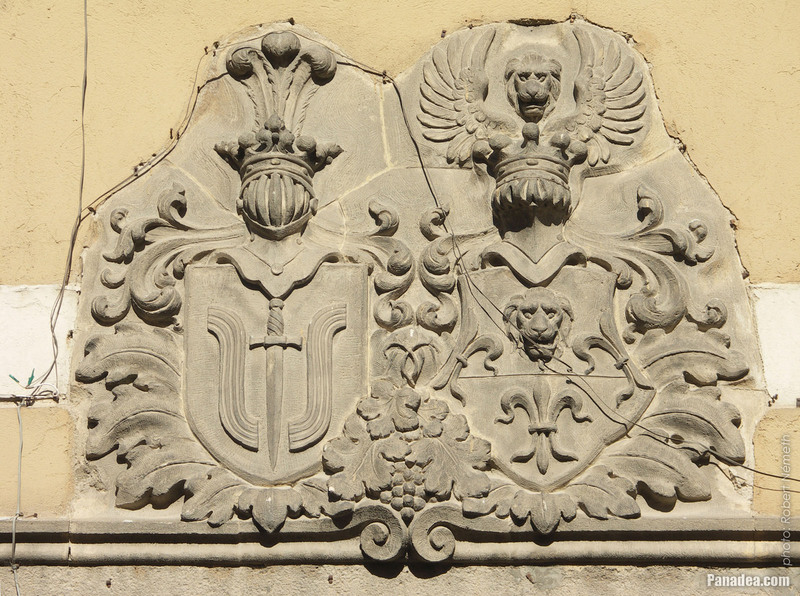 In its time the poetry of Janus Pannonius was a novelty, because instead of the religious ideas now it put the emphasis on the humanism and the renaissance attitude to life (desire for peace, life-loving, admiration of the nature, appreciation of science and culture, etc.). 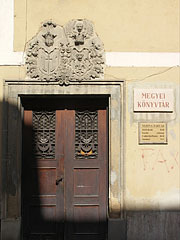 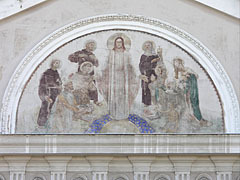 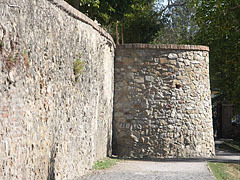 The style of his poems is based on the Italian humanism. 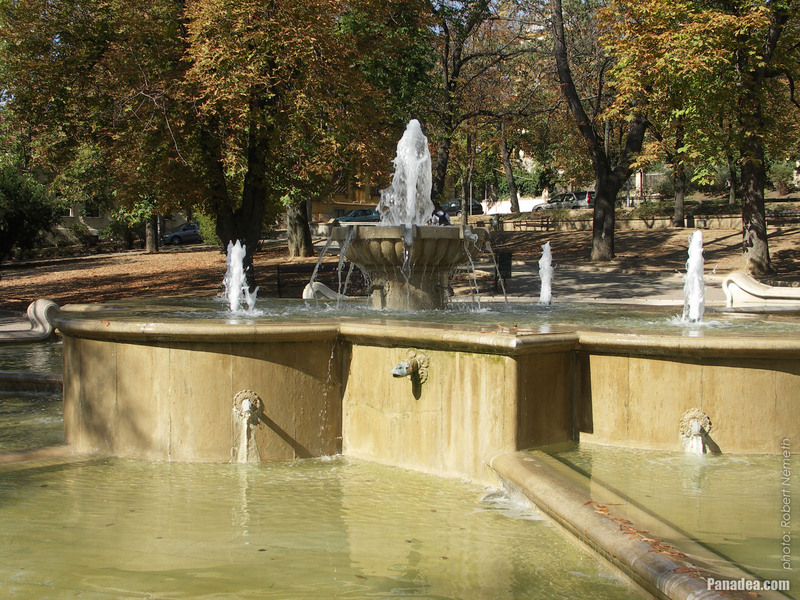 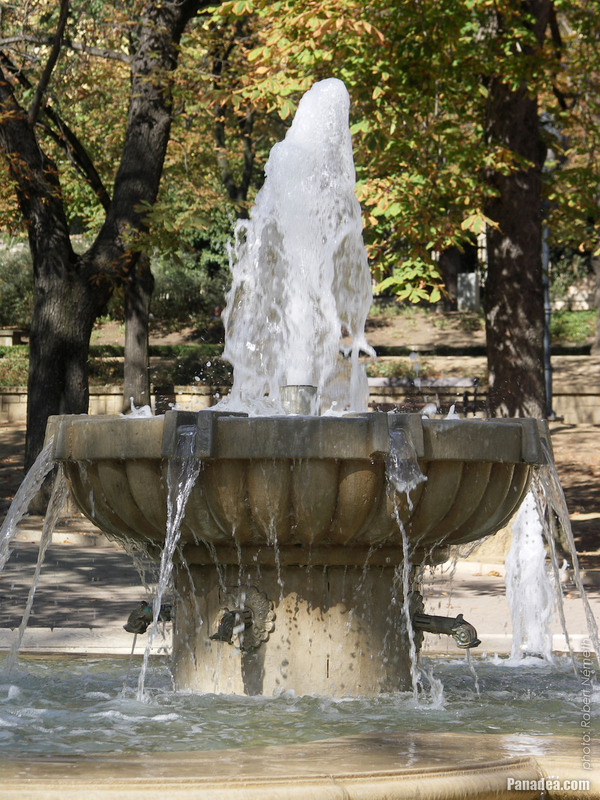 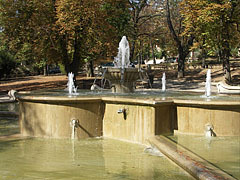 There is a full-figure statue of the poet in the garden of the Bishop's Palace ("Püspöki palota") in Pécs. It was created by Miklós Borsos, who entrusted the face of the poet to his imagination, because there's no any survived authentic portrait of Janus Pannonius. 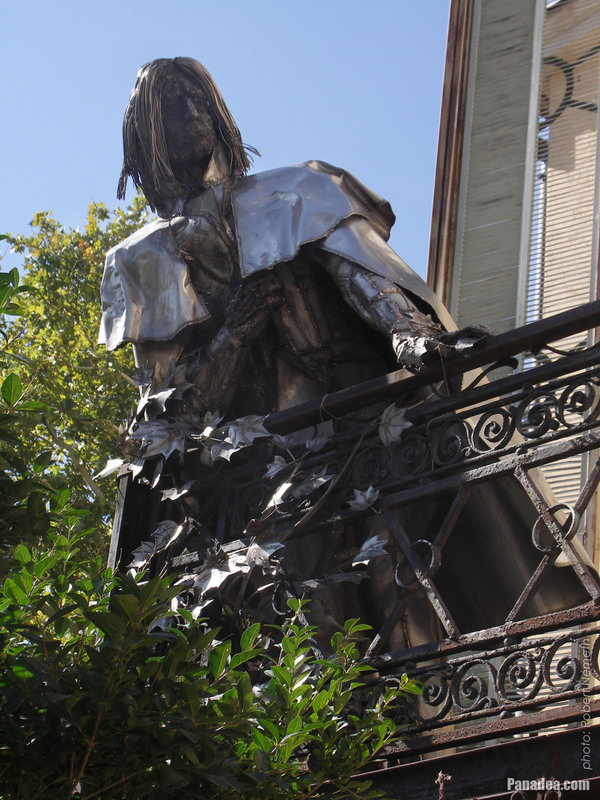 Allegedly this is why the statue wears a wide-brimmed Italian hat, to overshadow the face and also refer to its mysteriousness. 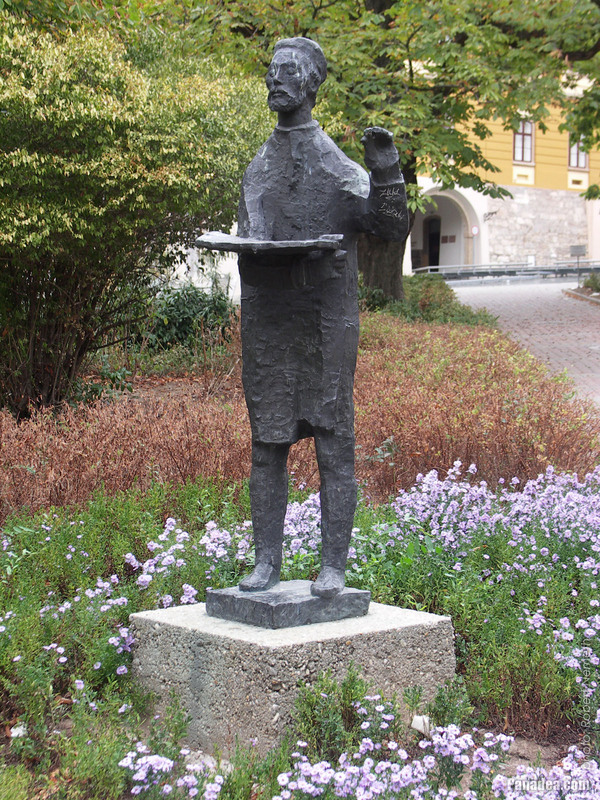 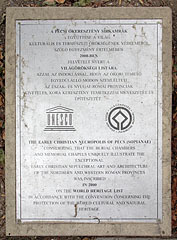 The bronze artwork was inaugurated in 1972 for the 500th anniversary of the poet's death. 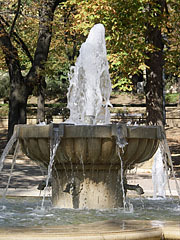 In addition, an almond tree was planted beside the statue to refer his love of nature and also to one of his nice verse.